The start of a journey or Adventure can often set the tone. At least for a while. It's important then that it be a good experience to start off with. 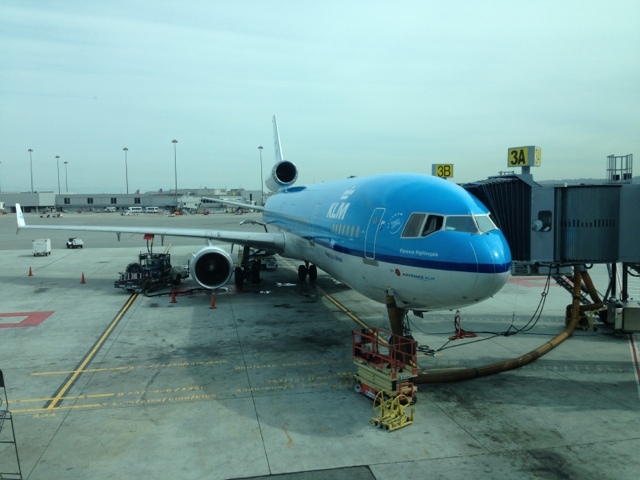 Kiwi and Koala were leaving SFO with KLM airlines to Rome with one layover in Amsterdam. Flying aboard their MD-11 was comfortable and pleasant. Couple of hints. If you're flying on one of these it's a 3,3,3 seating layout so traveling with 4 is a bit awkward but no dramas. Arriving at our seats and getting settled was something we wish someone had been filming. First off we had booked and preprinted boarding passes with seats A thru D. Not one of us double checked our seating assignments when after luggage checkin we received new boarding passes. Now we were D thru G. As luck would have it the D ticket holder boarded first and was sent down the first isle and being the smart assets (thanks auto correct) we are, we just told the cabin crew that we were with them and followed. Well that puts most of us on the wrong side of the plane. 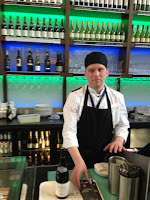 Then the, who sits next to who fiasco starts, we literally did two 360 degree turnabouts as we each sat in each and every seat and moved bags in the overheads to match. Massive comic relief to our cabin attendant. He was certain we had arrived at the airport on a very short bus. Wine served was a 2011 and 2012 Terra Andina Cabernet - Merlot from Chile in a 375 ml screw cap bottle 2012 already you ask? Yes and maybe that may help explain the lack of character. Not a bad drop but not one that would lead you to overindulge and maybe that's the plan. Food was decent and a little surprise of ice cream in the middle of the night / flight was nice. Overall a very nice flight. A couple hour layover in Amsterdam was put to good use with a cappuccino to start and a bottle of French wine (because we could) at the lovely Bubbles Wine Bar Not a bad airport to have to burn a few hours. Leg two to Rome was handled by Alitalia for KLpM and was on an Airbus A-320. Other than the incessant chatter of the 30 or so over excited high school kids on the Rome leg another good flight. After what seemed like an eternity our bags showed up and to our pleasant surprise our exit from the airport did not involve any security or customs checks! Our new best friend Sergio from Rome Cabs was there to whisk us away to Rome to begin our Italy Adventure for real. 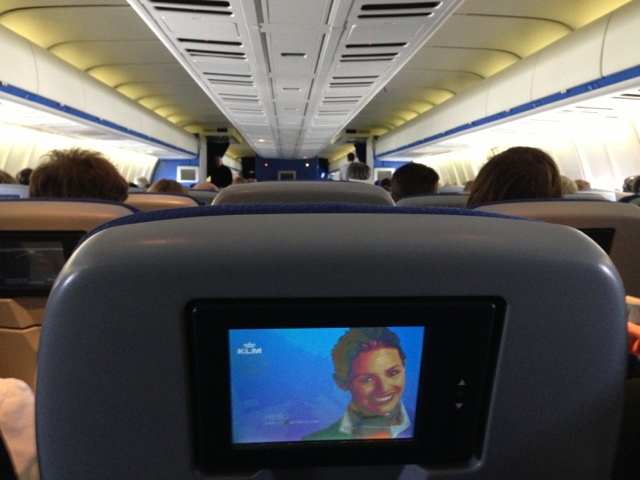 All in all KLM gets a 'good' rating from us and we would definitely choose again.